HTC are set to hold an event on August 19, fueling speculation that the company is going to officially unveil the HTC One M8 for Windows. Invitations have been sent out to various outlets about the event and many are predicting that the new smartphone will make its first appearance in public and will finally get a release date. The Windows Phone version of the HTC One M8 has been long rumored. The smartphone will reportedly be known as the HTC One M8 for Windows and is set to feature everything that is included in the original version but will run Windows Phone 8.1 rather than Android as its operating system. While the company have yet to officially comment on the device, many details have been leaked and it is expected to release in the US sometime in September. This would make sense considering the timing of the HTC event in New York City. It is also expected to be exclusive to Verizon in the US. While reports differ on whether the HTC One M8 for Windows will be a direct replica of the original device or not, industry insiders expect it to have many of the same features. These include a 5-inch full HD display, 16GB of internal storage, a microSD card slot and the Qualcomm Snapdragon 801 processing chip. It should also come with the much-lauded BoomSound speakers and the Duo camera. The two-camera system allows users to adjust focus setting after a photo has been taken using information gathered during capture. 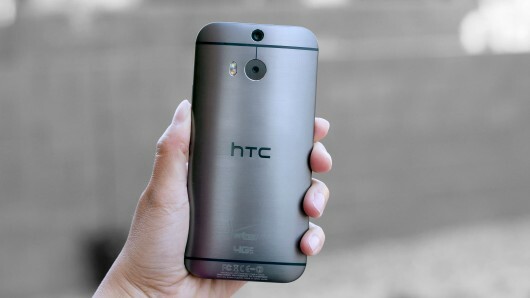 The HTC One M8 is the company’s flagship smartphone and received critical acclaim upon its release in March. It is widely considered one of the best Android devices currently available, along with the Samsung Galaxy S5. While HTC have primarily concentrated on the Android operating system, the latest version wouldn’t be the first Windows phone the company has released. 2012 saw the release of the HTC Windows Phone 8X.